C&C Machining, Inc. is a second generation Machine Shop located in the heart of the San Francisco Bay Area. We have been providing quality machining services to our customers for over 35 years. 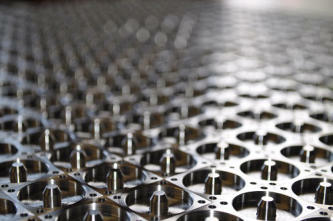 Our goal is to be your highest quality, highest value on- time producer of machined components. Quality is our strategic focus. Our target projects range in size from a toothpick to a shoe-box. We feature 7 CNC Machines, 5 Vertical Machining Centers and 2 CNC lathes. Over the years we’ve partnered with a network of the area’s top plating, EDM, and grinding shops to offer complete manufacturing solutions to our customers. Please take a look at our portfolio page to see some of our work. We also specialize in magnetic alloys, expansion alloys and sheilding alloys most of which require post-machine annealing. Carpenter-49, Hiperco 50, HyMu80, Magnteic Iron, Kovar, Invar. Hydrogen Annealing capabilities in-house to better serve our customers.